Leopard belongs to the subfamily Pantherinae gathering all the species of big cats, including lions, tigers and jaguars. Better known as the Panther name, name varies depending on the area where leopard lives. The best known species is the African panther. Other leopard species live in Asia. Leopard or panther belongs to the Felidae family. It is easy to differentiate a leopard to its congeners because of its coat. All the patterns are unique to each individual. The leopard is a species of feline that has adapted to many habitat such as forests, savannas and mountain regions. Currently, the population is distributed over the entire sub-Saharan region of Africa, southern Asia, Java, Borneo and Sri Lanka. Snow Leopard takes the high mountains of Asia. Another species called clouded leopard lives in the equatorial forests of India and Southeast Asia. North Africa, the Middle East and northern Asia also count other species. The leopard is a solitary predator that attacks the average prey. It kills its prey by smothering or by biting the neck. 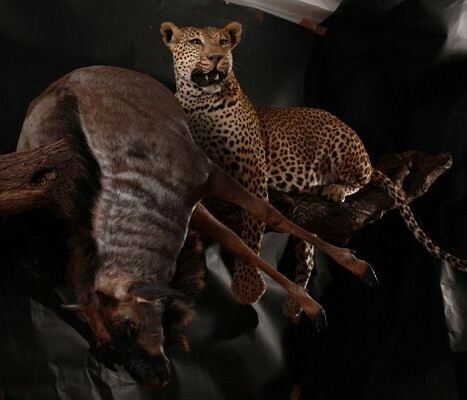 After killing hit, it climbs on a high branch with its powerful hind legs for shelter scavengers. Tree height allows him to eat quietly. Man becomes a prey to an injured or elderly leopard. The territory of a male leopard can cover up to 100 km. Inside, it lets live several females. To mark its home range, each leopard urine and leaves scratch marks on trees. The violation of this space is scarce. If this happens, a deadly fight ensues, especially if the intruder is a male. All species are endangered due to poaching and trafficking. 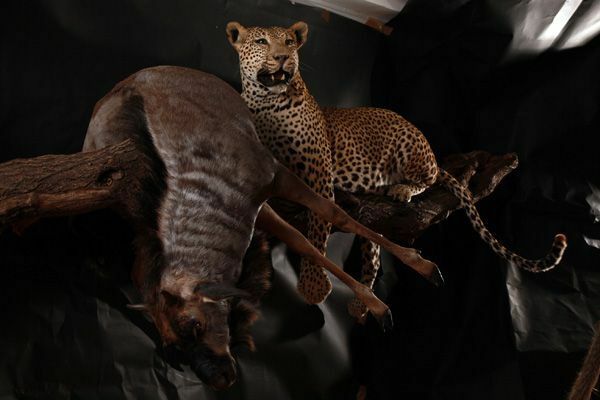 Their skins are very popular and are objects of decoration as a hunting trophy. Deforestation and habitat destruction are also major threats to the species.